So many of us allow so many moments to pass us by because we’re too distracted, often by thoughts of the past or the future that lead us to miss what’s truly going on in the present. This happens all the time when you see people whipping out their smartphones to take tons of photos or video, allowing their phones to take in the moment they’re trying to enjoy instead of being fully present and simply enjoying being there. You can get so distracted by wanting to preserve the moment digitally that you don’t even really remember being there because you were so focus on documenting it. I know I’ve been there, and it’s a habit I’ve worked really hard to change. My challenge to you this week is to work hard to stay present, being mindful of where you’re at and simply allowing yourself to be in the moment without distracting yourself from it. Let go of the things that don’t matter—stop spending time and energy on the things and thoughts that don’t serve you and instead focus on what really matters, what makes you happy. I’m not going to lie, being mindful is really tough, especially when you first start out. 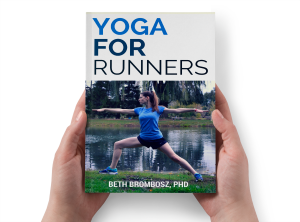 On my own mental wellness journey, I found that movement through exercise helped me immensely. I found it easier to let go of things and be present when I was moving. 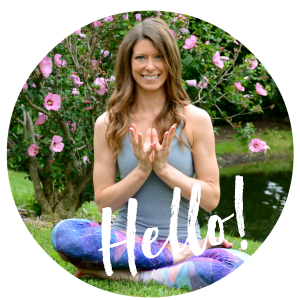 If you’d like to learn more about how you can help clear your mind and teach yourself to be mindful through movement, sign up for my free Overcoming Stress Mini-Course. It’s a three video series that will walk you through some basics of how you can use movement to help you let go of things and be more mindful and present. I hope you’ll check it out! This is a great reminder, thank you! 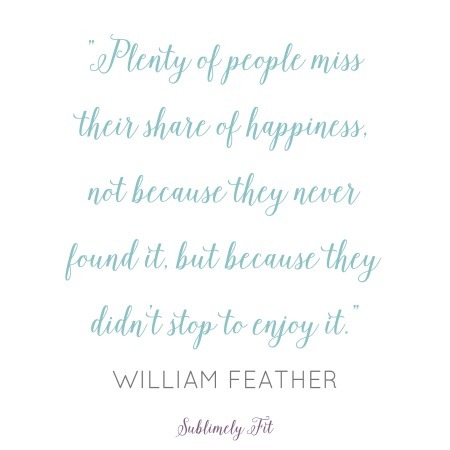 I really do struggle with remaining present and the quote about missing happiness because we don’t take the time to see it really resonates. accuracy of the business continuity plan.